Back in April, we introduced DINOWALRUS’s new album Complexion with the weirdo 80s disco jam “Psychic Pharmacy”. Now, a member of the Brooklyn outfit has remixed and renamed the track “Kings Pharmacy (Max Mix)”—mixed by a dude named Max (whose last name wasn’t provided). Whereas the original track layers lush vocals on top of each other and features a “Great Gig In The Sky”-esque performance from Ava Luna member Felicia Douglass, the remix is stripped of any vocals on top of the original take. The bass has transitioned from a retro bounce to a funked out slap, and the drums reach near-EDM levels of danceability (pay special attention around the 3:05 mark). That’s not to say the track isn’t laced with DINOWALRUS’s usual off-kilter sense of aestheticism; the final thirty seconds showcases a saxophone solo that’s way more in line with no-wave freak outs than jazzy harmonic exploration. 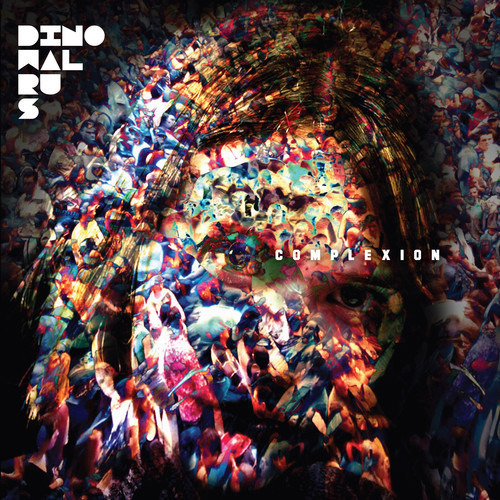 Despite the the very electronica aspects of “Kings Pharmacy (Max Mix)”, DINOWALRUS is still very much DINOWALRUS. The remix arrives just in time for Northside Festival, where DINOWALRUS will play the Frenchkiss Label Group showcase at Muchmore's on Sunday, June 15. Complexion is out now via Personal Projects.